Do you want to know how I am celebrating Halloween this year??!! It will be “Ghouls Gone Gourmet” this Halloween when trick-or-treaters and partygoers serve Fairytale Brownies’ new Halloween brownies instead of the standard fare. I am LOVING their seasonal flavor perfect for fall and Halloween: Pumpkin Spice – with an enchanting label displaying two eerie, but cheerful, jack-o-lanterns in a field. Bats fly behind them in the clear, moonlit night. The 3” x 3” dark chocolate brownie is individually wrapped and is sold in bulk by the dozen. The brownies also are a perfect treat for the office staff, a goody bag insert, or trade show giveaway. 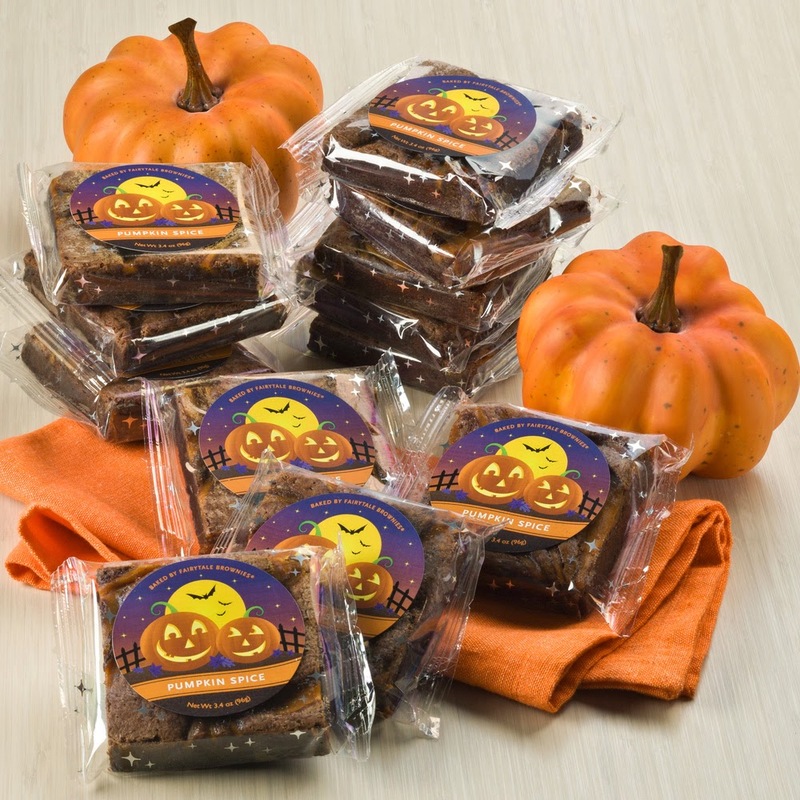 The Halloween Pumpkin Spice Combo is a perfect mix of traditional and seasonal brownies for all taste buds! I absolutely love both flavors! Taste the homemade goodness of pumpkin pie spices as they mingle with Belgian dark chocolate to experience one extraordinary Pumpkin Spice brownie. 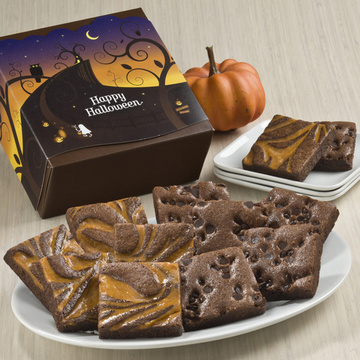 Six Pumpkin Spice and six Chocolate Chip brownies are individually wrapped and packed in our classic gift box with a Happy Halloween gift band. These are only available for a limited time only so GET THEM NOW! I am seriously a HUGE fan of Fairytale Brownies and highly recommend them. This Halloween pass on traditional candy and replace it with a treat baked with fine ingredients like Belgian dark chocolate, farm fresh eggs and pure creamery butter. You won't regret it! !